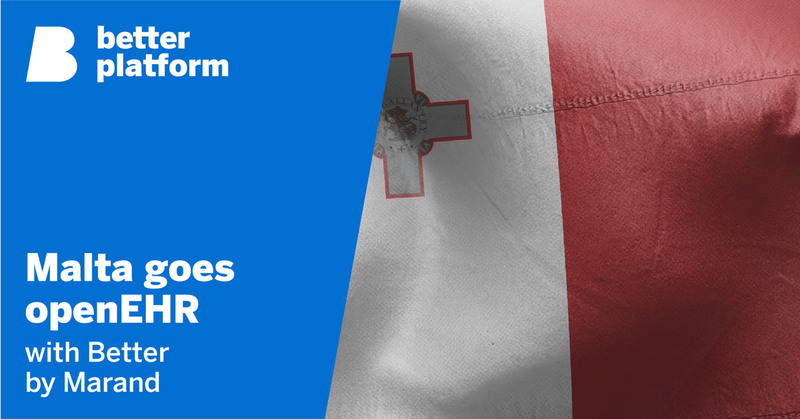 Better by Marand has won the National Electronic Health Records and related support and maintenance tender in Malta. Its National Electronic Health Records (NEHR) will use our Better Platform to implement a mature, future-proof national EHR and care coordination platform for collecting and storing patient health data. The Better Platform will make health data from different sources available by electronic means, in a controlled manner, to as many health care providers as possible with a view to providing the best possible quality and continuity of care. The Maltese Ministry for Health (MFH) is implementing a National Digital Health Programme which will enhance the Digital Health infrastructure and add new systems to the portfolio, in support of improved health of the Maltese population and increased efficiency and sustainability of Malta’s healthcare system. This can only be achieved by utilising clinically rich data from patient records to drive other forms of innovation and provide national research repositories. With respect to these requirements and the proposed reference architecture, Better Platform is well aligned with the agenda of the customer. The deployed solution will be a secure, real-time, patient-centric information resource for both healthcare professionals and citizens. Better by Marand is one of Europe's leading healthcare IT solution and professional service providers. They collaborate with a variety of clients on the same goal – to set them up for the future. The future that moves towards open platforms and away from siloed solutions. The future where clinical teams can work with any digital solution provider without being tied to a particular vendor. In turn, storing data in an open, vendor-neutral format will incite vendors to innovate and create better solutions. Their core technology solution, the Better Platform, is well-aligned with this vision and is based on openEHR specifications. Their OPENeP by Better product (a closed-loop medication management system) is built on top of the Better Platform and follows the same vision. Their innovations have so far taken them to 3 continents and 15 markets, including the UK, the Netherlands, Germany, Malta, Russia, Norway, Finland, Italy and Slovenia.